Liverpool legend Jamie Carragher is set to return to Sky Sports as a pundit next season after being given a final warning by the broadcaster. 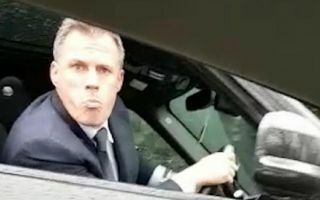 According to the Daily Mail, Sky have decided to allow Carragher back after a meeting last week but have given him one last warning following an incident where he was filmed spitting at a young Manchester United fan earlier this year. Known for being one of the finest pundits in the business, the former Reds defender would be a big loss for the sports channel, but many will question if he should really have been allowed back. Carragher was suspended for the final months of the 2017/18 season after losing his cool by spitting at a fan after being wound up over Liverpool’s loss to Manchester United at Old Trafford. One would certainly expect better from a professional, even with his Liverpool connections, and arguably especially so given he’s surely dealt with worse throughout his career. Let’s just all hope Carra cleans up his act now and can get back to providing the quality insight and analysis we’ve become so used to.